New EU financial regulatory reforms, known as Mifid II, will come into force on Wednesday 3rd January. The reforms will transform Europe’s financial industry and their impact will be felt on banks, fund managers, exchanges, traders, brokers, pension funds and retail investors. But what do the reforms mean in practice? Two Cass Business School academics, Dr Marco Boldini and Dr Francesc Rodriguez Tous, explain all. Dr Marco Boldini is an Honorary Visiting Fellow at Cass and Member in the Centre for Banking Research. What impact will the regulation have outside Europe? Dr Boldini said there will be at least two specific areas of impact outside Europe. “We have seen a huge debate recently on the so-called extraterritoriality issue which affects countries outside the EU. There will be two main areas of impact on countries outside Europe - ‘third country regime’ and ‘research’. Mifid II will introduce new “third country” requirements for non-EU managers who wish to provide portfolio management investment services to EU investors. This is a completely new provision. Broadly speaking it has to be distinguished between non-EU portfolio managers wanting to access retail investors and non – EU portfolio managers wanting to access professional clients. Retail clients portfolio managers will have to set up an EU branch that will be regulated as other MiFID investment firms, whilst for professional clients, non-EU discretionary portfolio managers will have to register with ESMA (no need to set up a branch), assuming that equivalence and reciprocity measures have been assessed and determined by the European Commission. What will the benefits of the new rules will be? “The Financial Conduct Authority recently published a study on the asset management industry which found that many investors didn't know how much they were paying, or even what they were paying for. Do you think there are any areas of concern? Dr Boldini said there are four main areas of concern which relate to some of the unintentional consequences of MIFID – research, transactions details, target market and transparency requirements. “As we have discussed above, the idea to charge for research separately from trading services is among the most controversial aspects of the new regime. There will be some immediate consequences such as the fact that spending on research will be reduced as the buy side becomes more cautious in what they spend and on the quality of the material they receive. “Mifid II requires firms involved in selling financial products to make sure that investors buy only products which are appropriate to them. In other words, firms need to identify the so called ‘target market’. “The Mifid II regime substantially expands the pre-trade and post-trade transparency regime for financial instruments traded in the European Union, covering an expanded range of financial instruments and also covering an expanded range of trading venues. 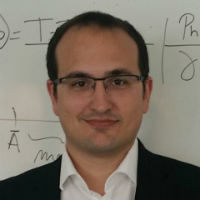 Dr Francesc Rodriguez Tous is a Lecturer in Banking at Cass and Member in the Centre for Banking Research. What will the rules actually do? What will happen on 3rd January 2018? Do you think the Banks and the City are well prepared? What will happen to Mifid when the UK leaves the EU? Marco is an Honorary Visiting Fellow at Cass and Member in the Centre for Banking Research. 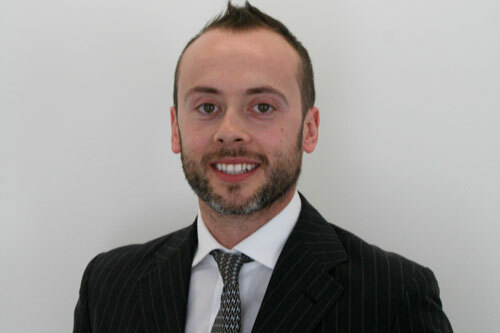 He is a fully qualified lawyer in Italy and the UK, where he is both a solicitor and barrister. Marco currently serves as Head of Regulations (Asset Management) Legal at PriceWaterhouseCoopers (PWC) in London. Marco is responsible for overseeing all regulatory functions within the Asset Management industry (Legal) as well as analysing the impact of emerging regulations, helping clients to better assess their legal obligations. Prior to joining PwC, Marco served as European Regulatory Counsel (Director) at ETF Securities, an asset management firm focused on exchange-traded funds (ETFs), exchange-traded commodities (Commodity ETCs) and exchange-traded currencies (Currency ETCs) with offices in Jersey, London, New York, Sydney and Ireland. Marco was responsible for overseeing all regulatory functions across Europe and analysing the impact of emerging regulations. Prior to joining ETF Securities, Marco worked at a number of international banks, including as legal counsel at State Street Bank, where he mainly dealt with corporate governance and regulatory matters. Marco was also a senior associate in the regulatory department of Gianni, Origoni, Grippo, Cappelli & Partners in Milan, one of the Italian top law firms. Francesc is a Lecturer in Banking and BSc Banking and International Finance Course Director at Cass. He received his PhD in Economics from the Universitat Pompeu Fabra, in Barcelona. He has previously worked at the Bank of England, Deutsche Bundesbank, and Banco de España.